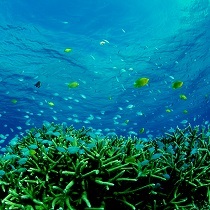 Departure from Naha to the world's best island, Kerama! 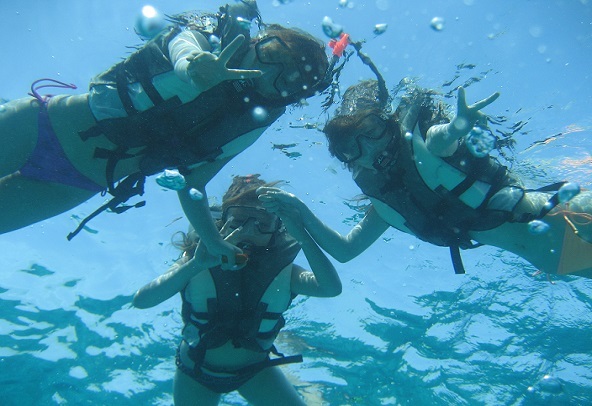 Explore the white sand beaches and snorkeling among the coral gardens.This plan is perfect for those who want to enjoy activities both in and on the water, or those who are looking for some exciting group activities! 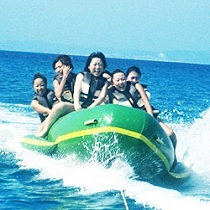 Enjoy the exhilaration and thrill of gliding across the emerald green waters on a marine jet! This plan also comes with a fun and exciting banana boat ride! 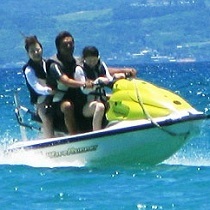 After a tranquil swim amongst the lovely fish and coral, engage in some water sports for endless active fun on the water! A luxurious plan jam-packed with fun! It is OK when it was Hotel Naha city. Please apply at the time of booking. ●Bring your own swim suites, towel and clothes. ●Person of the stay but we do pick-up service hotel Naha city. *Schedule is subject to change according to sea condition. *Bring your own swim suites, towel and clothes. 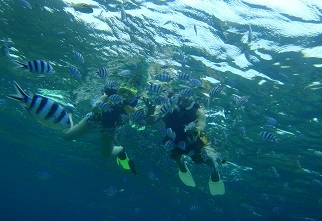 *You can only participate in all menus including the snorkel after alcohol consumption. *I will refuse to dive if there is a true medical history medical certificate. *If you're expecting, then you can not join the activities due to secure safety. *No boarding an airplane allowed on the same day with scuba diving. ◆Available on the same day as your flight! 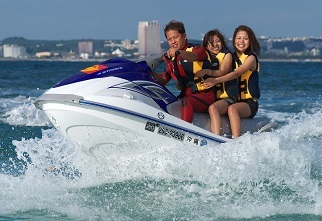 Please choose from one of the【◆Banana Boat◆Marine Jet ◆Monster tube◆U Tube◆Biscuit◆Marble◆Posse】for water sports.